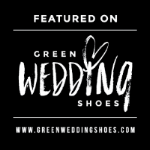 When you've spent a long time in the wedding world like we have, wedding shows and fairs become pretty much par for the course and it can take a lot to really impress you. But when we were invited to the press preview of the London edition of a Most Curious Wedding Fair this weekend, we knew we'd stumbled onto something really different. The show has recently exploded in popularity with many couples finding the laid-back, stylish vibe of the event truly refreshing. Based at East London's truly cool Truman Brewery - couples are welcomed into a dynamic space where suppliers are encouraged to showcase themselves beyond a trestle table and some flyers. You're captured by the imagination and creativity of each exhibitor and what you're seeing is really out-of-the-box, on-trend stuff. If you're anywhere near it this weekend, you really must must must grab your tickets for the Norwich Show right here, or if you missed the London show check out some of the talented exhibitors' work for your own wedding this year over on the Most Curious Instagram page. A few highlights from this year's show! We were snapped by the Flash Pack, one of our total photo booth faves, who were showcasing their new Retro Booth. We were also glad to see our our friends Insta Wedding at the fair, cinematic and artistic filmmakers and photographers who are offering something unique in the wedding industry. 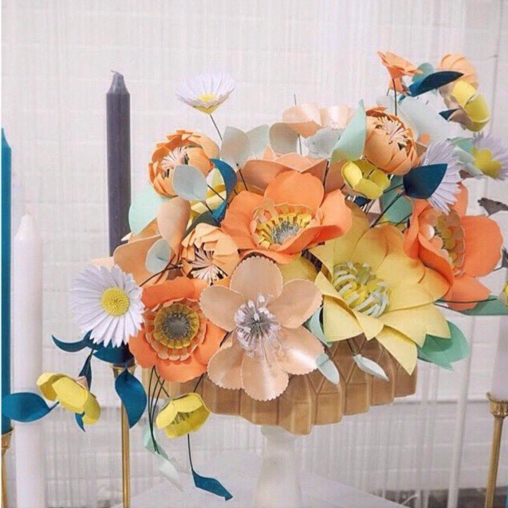 Stunning paper flowers with a gorgeous colour scheme from Things by Laura - so impressed! 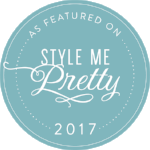 And a captivating, on trend to the max, runway show courtesy of Style and the Bride. No event is complete without light up letters by Doris Loves, either!